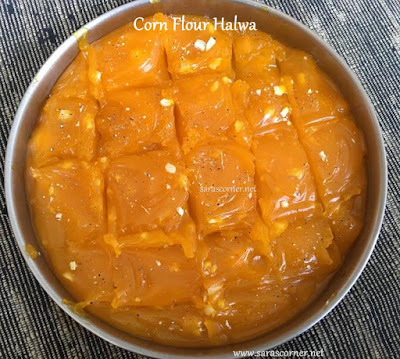 Corn flour halwa is easy and delicious. This is in my list since a year, when I saw on TV on a cookery show, I had written down the recipe. Looked very easy and delicious. So, I tried it yesterday when my friend came home. Take a mixing bowl add corn flour, sugar, water colour and salt. Mix without forming lumps to dosa batter consistency. Heat a kadai, add 1 tblspn ghee add this mixture and keep stirring till it forms a thick mass. Keep adding ghee in between. Keep a greased plate ready. Finally add the nuts, elachipowder, when it becomes big mass. Transfer to a plate and decorate with cashew nut. Allow to cool fully and refrigerate. You can serve as it is or cut into squares. 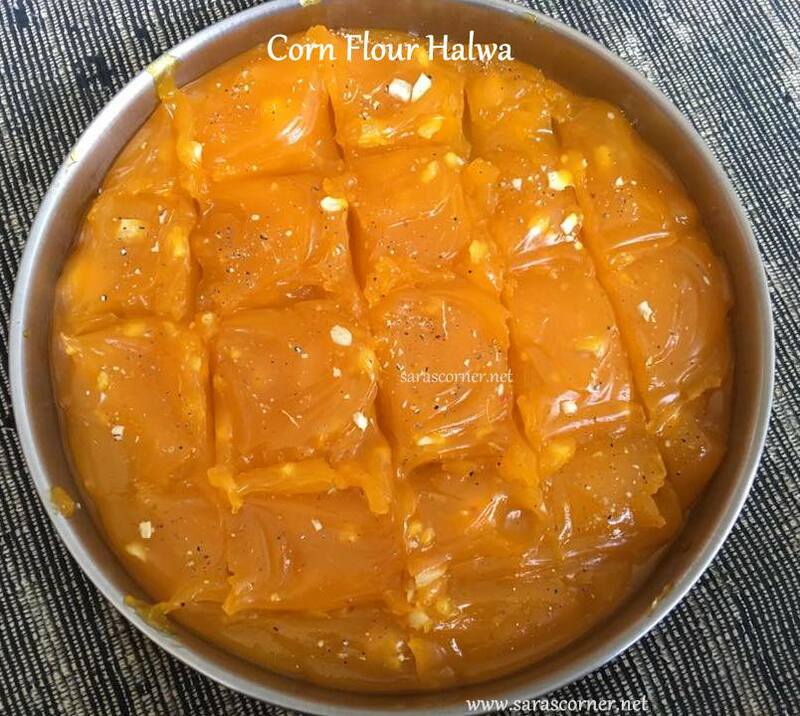 Corn flour halwa is ready.